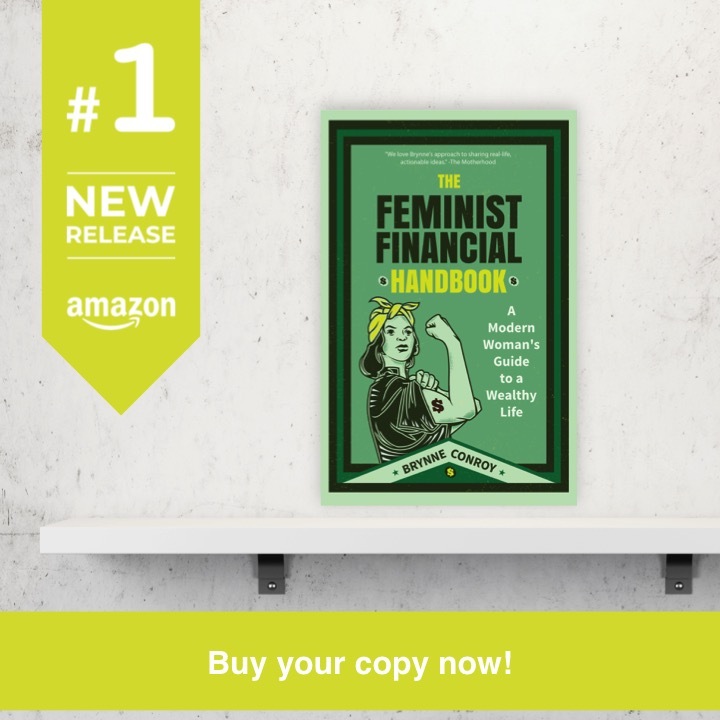 Women play a powerful role in household finances. When we die, our absence leaves not just an emotional scar, but a financial one, as well. Fortunately, we have the power to lessen the blow to our family and loved ones by doing something as simple as purchasing a life insurance policy. In 69% of American households, mothers work. Forty-nine percent of those families have two parents working full-time, seventeen percent have the mother working part-time while the father works full-time and six percent have the mother as the primary or sole income earner. That’s a lot of mothers working. And that’s a lot of income lost should something happen to you. You need life insurance to hedge against the chance that you will be lost, and with you, your income. You’ll also need to remember that funerals aren’t cheap, so factor that into the equation when you’re figuring out how much coverage you need. I bought my first non-work sponsored life insurance policy when my eldest was born. I was doing the stay-at-home mom thing and taking classes at night. I had just started building my blog, but at the time my income was about $0. Life insurance was still important to me, though. I knew that in a few years I’d be the primary breadwinner in our household and that if I were lost, the time we had invested into my education would be lost, as well. It would also be a lot harder for my husband to return to school if he were a single dad. I wanted life insurance to buy him that time, if needed. To buy him the best child care the Burgh had to offer so he could return to school and then work again. To replace the income I was supposed to be earning a couple of years down the line. To make life easier. Are you a stay-at-home mom who plans on never returning to the workplace? You are valuable, too. And I’m not just talking about the touchy-feely-mom-can-never-be-replaced kind of valuable. Your death would be a massive economic blow to your family. The child rearing you do? Your partner is going to have to pay someone to do that, and you don’t want them going with the cheap option. The cleaning? Unless they develop a way to be in two places at once, they’re going to have to hire someone to do that, too. Managing the bills and driving to doctor’s appointments and scheduling lives? You get the idea. Your life is valuable to your family in a very numerical way. According to Salary.com’s 16th Annual Mom Salary Survey, your work is valued at $143,102/year. Insure yourself accordingly. Don’t have kids? That doesn’t mean your life isn’t worth insuring. In fact, in retrospect I realize I should have bought my first policy long before my first child came along. Funeral costs alone would have been a major burden on the nuclear family that raised me. On top of funeral costs, women have a tendency to take care of others regardless of their marital or motherhood status. There are 65 million people in this country taking care of their elderly parents or other family members, and 66% of them are women. Of those women, 63% are not caring for children 18 or under in their home. That means that they either don’t have kids or their children are grown. Want to know what the cost of family caregiver services are? $375 billion/year across the US. Life insurance can provide your loved ones with the support they will need as they get older if you aren’t there to take care of them. My policy required me to take a blood test and go through some other medical examinations with a nurse in my home. Not all of them do. You will need to disclose if you smoke or have any other health-related problems, though. As with all insurance products, some companies will charge you higher or lower premiums for identical coverage. Term life insurance is my favorite kind of policy, as it comes with a flat premium rate for a set death benefit and doesn’t market itself as an investment. You should never buy the first policy you see; you want to make sure you’re getting a good deal. A good place to get started with smart comparison shopping is SelectQuote, where you’ll be able to see which insurance providers are providing the best coverage at the best price. However you go about purchasing a policy, do it. You are valuable, and you want to know that your loved ones will be provided for should the unthinkable ever happen. This article was sponsored by SelectQuote, but all thoughts and opinions are my own. This entry was posted in Money Management on October 24, 2016 by femmefrugality. Agreed, you need life insurance no matter what your situation. The amount is more personal, but having something in place can make life much easier for those left behind. As a stay at home mom, I made sure to have enough insurance for my husband to be able to pay for quality child care (and other related expenses) when the kids were younger. Though death isn’t a pleasant topic, life insurance is a necessity. I did exactly the same thing when mine were born and I was providing most of the child care. And so true–the amount is personal depending on how much they can comfortably live off of or what your goals are. This was an interesting read, especially because I am our “stay at home” person, no kids yet, but there is a lot of stay at home things to be done, especially when running a blog. I am also about to bring in little extra side income. The points you raised about stay at home parents/people still being valuable for life insurance really made sense. Will have to talk to Tristan about it for sure once my new “job” kicks in with income, and especially once we have our first child. In Australia we can purchase life insurance through our Superannuation contributions. Superannuation is a mandatory 9.5% on top of your wage that your employer has to pay, a forced retirement fund, which we cannot touch until the official retirement age. Although we can’t touch the money, we can use it to pay for life insurance – which is very handy, means that we don’t have to budget for that money. Tristan and I also don’t see the Super as part of our “retirement plan” – it’s just a random perk we will get one day. Supers are such a great idea from my perspective. We have nothing state mandated here save for social security, which may or may not be around by the time our generation gets to it. Didn’t know about the ability to use it for life insurance, though! That’s huge! Great Post! I agree that everyone should leave something that will provide some financial cushion for their family. My job allows us to leave one year’s salary to who ever we choose (I put my husband) should something happen. And that is a lot of money plus he would get back my pension contributions because I am not vested and any unused vacation. But if I ever get a new job that doesn’t offer this or have children, then I will go out and look into purchasing a policy. That’s a pretty great perk! Yes, kids definitely add a need for more coverage, but it sounds like you’re being super smart about what you have for your current situation! This is such an important topic. Although the “what ifs” are not pleasant to think about – we must prepare for the future of our loved ones. Definitely, Monica. It’s not pleasant to think about, but heaven forbid it happened, it would be even less pleasant to not be prepared. I agree with many of your points – and often, women undervalue their skills (or are undervalued) and as a result, under insured. 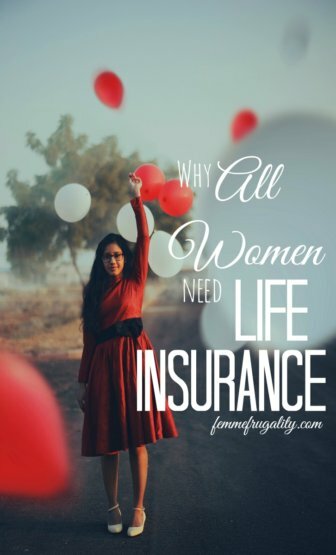 I do think though there are some circumstances (albeit rare) in which life insurance isn’t necessary – regardless of gender. If you are single or in a couple with no dependents, no debt, and have adequate health insurance (or live in a country that provides good health care) and have enough to cover your funeral expenses (or separate funeral cover) I can’t really see the point of life insurance. Am I missing something? You bring up a good point, Sarah! There are two shifts in cultural norms that raise alarm bells for me. The first is that post-recession, we started taking care of our elderly parents in greater numbers. Boomers are living longer with less money, so while many of us do worry about dependents, there are also our own caretakers to take care of. Which leads to the second shift. Retirement used to be largely funded by pensions. In the past few decades, this has been phased out so that personal responsibility is shifted to the individual employee rather than the company. While this can be empowering, unfortunately the numbers tell us that those employees aren’t handling the responsibility well. Aside from health issues, just managing to live in retirement is difficult or will be difficult for many people in our parents’ generation. Life insurance provides a little bit of a cushion to our own parents should we not be there to help them once they can no longer provide for ourselves.